In my studies part of the problem with all acute or chronic infections is the formation of biofilm (a sticky shield) which bacteria, virus and fungi make to hide from both our immune system and antibiotics thereby creating antibiotic resistance. 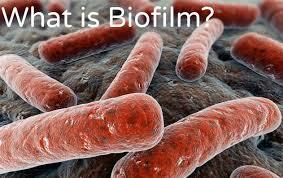 Biofilm communities are made of polysaccharides (long chain sugars), protein, and minerals. The microbes in the community continue to build their protective structure, the colony continues to grow and this growth may lead to life threatening conditions. Biofilm growth is associated with increased level of cell mutations. Bacteria permeate basically every inch of our body and the Earth. Many bacteria live in a biofilm state which enables them to survive and to spread without being detected and killed by our immune system. Antibiotics present another problem they are not anti-viral. Essential oils are very effective at dissolving surrounding viral biofilms and then killing the virus. These powerful therapeutic oils are virucidal and non-toxic. Virucidal effect of peppermint oil on the enveloped viruses herpes simplex virus type 1 and type 2 in vitro. 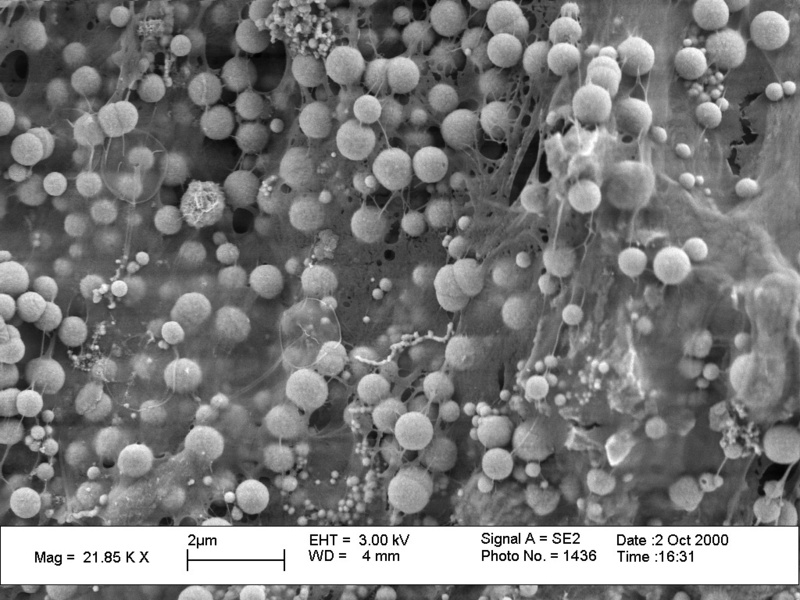 “Viral Biofilm”- like structures, similar to bacterial biofilms. These infectious structures hide viruses from our immune system and enable them to spread from cell to cell. Many well known fungi produce biofilms, including Candida, Aspergillus, Cryptococcus, Trichosporon,Coccidioides, and Pneumocystis. Essential oils are capable of resolving chronic or acute infection. They can penetrate this sticky bacterial, viral or fungal biofilms very effectively and eliminate disease causing microbes. Pathogenic microbes cannot decipher the molecular patterns within the antimicrobial components of essential oils. The microbes cannot decode the lock and key to therapeutic grade essential oils, as they can with antibiotics. This means we do not develop stronger more resistant microbes. I have researched and currently use specific combinations of steam distilled, solvent free essential oils which effectively eliminate biofilm formation and infection. It is very important when using essential oils to use the highest grade, solvent free oils. The pure steam distilled, therapeutic grade oils I use do not contain solvents which cause liver and kidney damage. They are guaranteed solvent free. These essential oils are the most powerful oils available, they work deeply on the cellular level. Are you experiencing continuous dental issues? The plaque on your teeth is one example of microbial biofilm. You can dissolve it with specific therapeutic essential oils. I have a dental protocol that totally eliminated a 10 mm periodontal pocket. This pocket was caused by my molars shifting following earlier dental work. It has been five years since I had this infection and five years since my last trip to the dentist, as I no longer develop plaque and dental decay. Chronic Infection Getting You Down? Another personal testimonial, several years ago I was placed on antibiotics for a preauricular ear sinus infection. This was a very painful cyst problem in front of my right ear. Four years later, and after a variety of antibiotics which had not worked, I was very antibiotic resistant. At the time of each surgery, the ear sinus infection looked and felt horribly painful. When this condition began I was being operated on every 6 months. Soon this chronic infection required an operation every 4 months and was becoming potentially life threatening. I finally decided to stop taking the antibiotics. Using therapeutic grade essential oils I completely recovered from this threat to my hearing and brain. I was able to dissolve the biofilm that was causing my chronic infection and kill the antibiotic resistant microbes. A biofilm is a layered matrix, consisting mainly of polysaccharides, minerals and protein, that bacteria, virus and fungi create to hide from our immune system. In this protective hide-out they are more difficult to kill, because the biofilm structure affords protection. This microbial shelter can grow throughout the body, as this occurs inflammation levels rise often leading to chronic and acute disease states. Maintaining balance within the body is crucial for healthy longevity. Change The Health Imbalances You’re Experiencing Now! Don’t Wait Another Day. Change The Course Of Your Health! If you understand your body, how it works, how and where disease imbalance truly begins, you have a road map to a life free of premature cellular degeneration and aging. Empower yourself with the knowledge I share. Give yourself and your family the gift of long, vibrant and energetic life. As a Certified Wellness and Health Consultant I provide powerful health strategies for creating robust life extension. Call the office today for your free 20 minute wellness consultation. Experience elite health and wellness! Consulting with a Certified Wellness Consultant is very important. As a health coach I provide you with cutting edge knowledge to successfully change the course of your health. As a Certified Aromatherapist I ensure you obtain only pure therapeutic grade essential oils, eliminating the dangers of obtaining essential oils with chemical solvents and other toxins. Additionally, the essential oils you are purchasing must contain the necessary constituent compounds to enable powerful health results. My clients are well within two to five treatments. Within your first treatment you will obtain great results and at times total relief of chronic or acute soft tissue pain. You will feel that you have chosen the right path. Always share information with your primary health care provider (doctor), before you start a new health program. Information on this site is not intended to diagnose, treat, cure or prevent disease. A decision to use/not use this information is the sole responsibility of the reader. © 2007-2019 Copyright, All Rights Reserved. Neuromuscular Pain Relief Center, Inc.